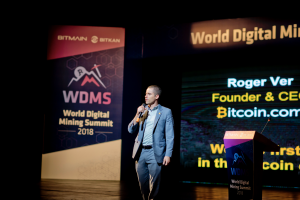 The World Digital Mining Summit, an event hosted by Bitmain together with BitKan, was successfully held last weekend, September 21-23, at the Hualing Tbilisi in Georgia, with cryptocurrency media and attendees heralding the summit as a great success. 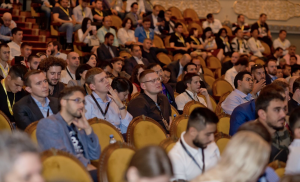 The event drew over 1,000 attendees from all over the world, including: Georgia, Russia, Eastern and Central Europe, North, Central and South America, not to mention China, Japan, Korea and other countries in Asia Pacific and globally. Opening at the Tbilisi Opera on Friday, Bitmain co-founder and co-CEO Jihan Wu announced the launch of Bitmain’s new 7 nanometer process ASIC chip. Placing this 7nm technological innovation in the context of the development of blockchain technology to date, Wu also shared a detailed vision for the industry’s future, including the integration of AI and blockchain for decentralized artificial intelligence, and the emergence of cryptographic algorithms based on quantum computing. Roger Ver, CEO of Bitcoin.com followed, discussing Bitcoin Cash (BCH), a vision for the coin’s future and the underpinning importance of economic freedom as a core value for Bitcoin Cash. 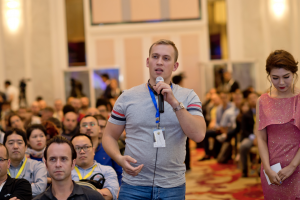 Saturday saw Bitmain’s Head of Sales and Business Development, Sharif Allayarov kick off proceedings in the Grand Hall, presenting on challenges facing miners currently, notably hash rate growth and also providing details on Bitmain’s AntBox and Antminer series, and how Bitmain’s products provide market leading specifications and added value for miners. Operations Director of BitKan, Cheng Yao, came next, presenting on BitKan’s offering and discussing how miners may find the correct benchmark in a volatile market. This was followed by enlightening keynote speeches from Marco Streng, CEO of Genesis Group; Olsen Su, Bitmain’s Head of Global Mining Farms; Shaun Chong and Kevin Zhang of the Bitcoin.com Pool; Lingchao Xu, Project Director of Antpool; Dmitry Ozersky, Managing Partner of Electro.Farm; Jason Zhuang, Project Director of BTC.com; Batyr Hydyrov, CEO and Founder of Uminers; Martha Zhang, Co-founder of DEx.top; and, Shera Lei, COO of Rockminer. The last speaker for the day was Amaury Séchet, Lead Developer of Bitcoin ABC, discussing plans and opportunities in scaling Bitcoin Cash (BCH) and the impact for mining economics. Sunday saw a full schedule of keynote speeches in both the venue’s Grand and Sub Halls. Sean Walsh, CEO of Hyperblock initiated proceedings in the Grand Hall, presenting Hyperblock’s vision for the exponential growth of money technology, detailed proposals for affiliate marketing as a means of bringing more users into the cryptocurrency eco-system and exploring some of the key supply and demand economics underlying Bitcoin’s volatility. This was followed by Sue Wang, CEO and Founder of Mining presenting on mining opportunities in North America. 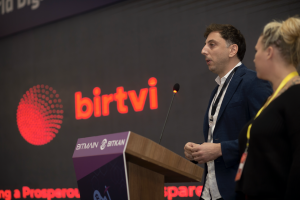 Other engaging keynote speeches followed by Kirill Orekhov, Business Development Director of En+ Group; Igor Runets, CEO of Bitriver Limited; Beqa Avaliani, CEO of BIRTVI and Inge Snip, Head of Communications at BIRTVI. The afternoon was kicked off in an intriguing keynote speech by Beatrice O’Carroll, Head of Sales and Relationship Management (OTC Trading) of Circle, on de-mystifying OTC markets within the cryptocurrency space, explaining Circle’s OTC platform offering and how miners can get involved. The afternoon in the Grand Hall proceeded with other interesting keynote speeches from Khikmatulloev Rustam, CEO of Sigma Pool; Micah Smith, COO of Blockchain Infrastructure Research; Ryan Xu, BD Director of ViaBTC; and Giorgi Berezovski of Fulcrum LLC. 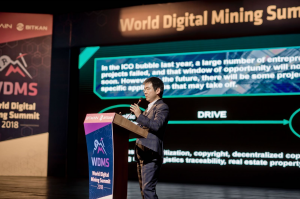 The event organizers, Bitmain and BitKan, would like to express our great thanks to all keynote speakers, attendees, sponsors and event partners for joining the World Digital Mining Summit. The event was a wonderful success and we look forward to organizing a follow-up at the next available opportunity. Thank you and we look forward to meeting again soon.